VIGOR AWARDS WAS DESIGNED TO GIVE A PLATFORM OF RECOGNITION TO EVERYDAY HEROES; TO BUILD A THRIVING AND MOTIVATING CULTURE OF GIVING TO OTHERS; AND TO INSPIRE INDIVIDUALS IN A COMMUNITY TO STEP UP AND STEP OUT, MAKING OUR WORLD A MORE BEAUTIFUL PLACE. Please help us celebrate these special individuals and bring attention to their great contributions. 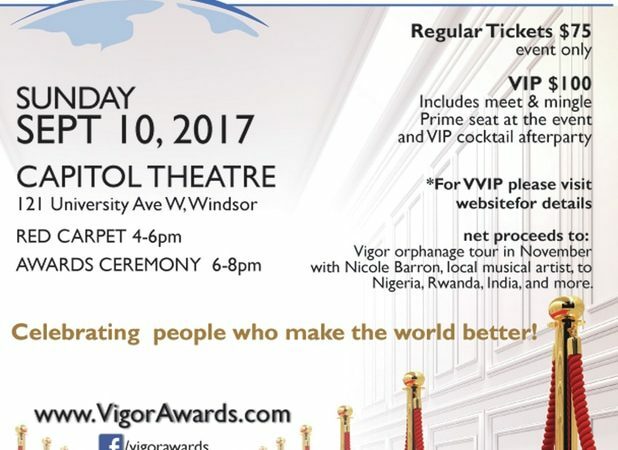 Vigor Awards International is a non-profit organization dedicated to spreading light on the world’s greatest people. The award winners are people of various backgrounds, cultures and nationalities. People of all kinds who have one thing in common: soulful kindness and selflessness, apparent through hard work and dedication to others. This award is for the modern day hero, people who shed light in the darkness and ask nothing in return. We strive to celebrate our heroes with a Hollywood-style gala to show them just how deeply we appreciate them. For many award winners, this is their first time attending such an elegant function, and we’re pleased that we can give them a spectacular experience. Driven by Passion. Fuelled by our Heroes. Our platform is an elegant evening gala of luxury treatment. We want you to feel special! We hope you’ll join us! Purchase your ticket today!